Migrant deaths in one Texas county connected to human smuggling jumped to a fast start in the first two months of 2018. Border Patrol agents and Brooks County Sheriff’s Office (BCSO) deputies recovered the remains of 14 migrants in January and February. “The freezing conditions in December and January took a toll on illegal immigrants attempting to circumvent the Border Patrol checkpoint located in our county,” Brooks County Sheriff Benny Martinez told Breitbart Texas in a phone interview. The county saw an increase in migrant deaths of 30 percent in January alone, the sheriff said. During all of 2017, Brooks County reported 52 deaths of illegal immigrants. Eight of those were found in one week in December following a hard freeze, Breitbart Texas reported. During the first two months of this year, the county has already matched 27 percent of last year’s total. Martinez explained the deaths are caused by cartel-connected human smugglers that force the illegal immigrants to march through the ranches to avoid detection at the Falfurrias Border Patrol Checkpoint that is located in the middle of the county. Brooks County is located about 80 miles from the Mexican border with Texas. But, it is not alone in reporting the deaths of migrants who have decided to risk their lives by illegally entering the U.S. 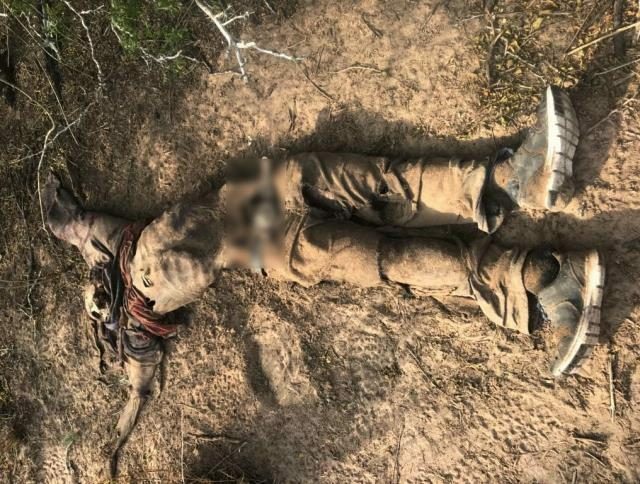 The remains of 12 more migrants were found in the southern Arizona desert during January and February, Breitbart Texas reported.